Write every day. That’s the advice we are given when we start writing – to make it a habit, to incorporate it into our daily schedule, to just write. And for the most part, I do. But during the summer, my writing work slows down. Most of my deadlines have passed, the days are warmer and longer, and the call to spend time outdoors is more powerful than hiding out in my writing room soaking up rays from my computer screen. Summer is the time to catch up with friends and family, swim, hike, walk along the beach, go on road trips, attend BBQ’s, relax on a patio with glass of wine, and soak up life and ideas. Summer is also a time for me to indulge in the writer’s most valuable ally – reading. I love to read, and I read everything – well, almost everything. The romance genre has yet to peak my interest, but I’ll give anything a chance at least once. 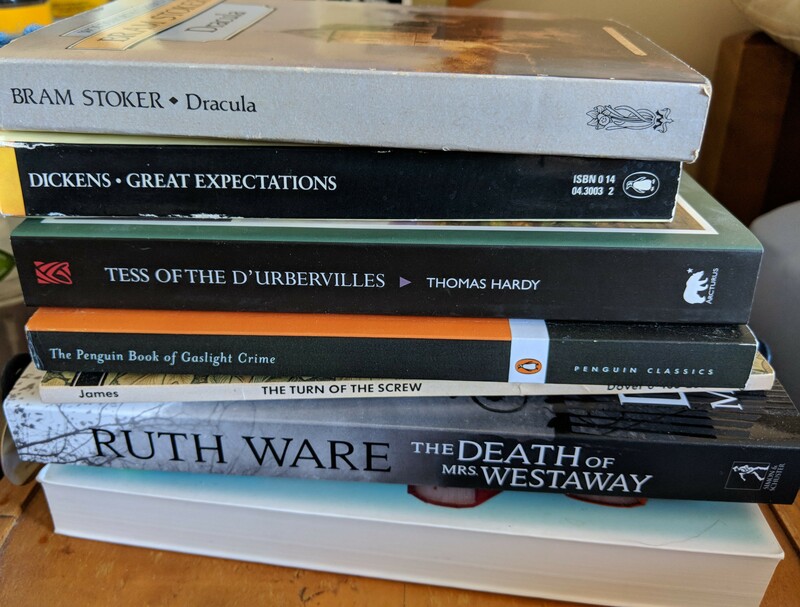 I started this summer reading a book by one of my favorite authors – Secret Windows, by Stephen King, a book of essays on writing, and as it turned out, it was the perfect book to build my summer reading list. As King ruminates on certain writers, books and stories, it stirred in me an inexorable desire to read those stories, and, as fate would have it, I have most of those books on my shelf – The Haunting of Hill House and The Lottery by Shirley Jackson; Bram Stoker’s Dracula; Tess of the D’Ubervilles by Thomas Hardy; Charles Dickens, Great Expectations; Something Wicked This Way Comes by Bradbury – just a few of the classic stories I am devouring this summer. My summer of reading is just as vital to me as my writing time. Reading inspires, entertains, and recharges my battery, so when the seasons change, I can return to my writing room, turn on my music, snuggle up to my fireplace and get back to work while the raindrops pelt against the window and the wind howls through the trees. When the writing slows down, when we hit those blocks or just need a break, pick up a book, get lost in a story and remember why you wanted to write in the first place. You haven’t heard from me in a while. It’s because I’ve been writing. It’s the reason we embark on this journey – to write, to put our words out there, to tell our stories. I’ve been fortunate, in my short writing life, to connect with an audience early on and find opportunities to share my work. I’ve published fiction, non-fiction, poetry, and participated in a couple of magazine interviews. Amid all that, I am steadily working away on my own book projects. One of the many challenges I have been working on is the magazine pitch. Back in the fall, I wrote about an experience choreographing a pantomime and contributed it to a website as a guest blogger. One of their public relation consultants suggested that this story be taken further and pitched to potential dance magazines. She took the lead by sending out her own pitch on my story and received a response by a local magazine in my city – but they wanted the pitch to come directly from me. I have five years of writing life behind me, but for all those small accomplishments, nothing prepared me for writing that first pitch to a magazine. When I have an idea for a story, I write the story. I work it. I let it carry me to its eventual finish – and then I pitch it. I don’t always have to know where it’s going right from the beginning, because I know I will discover its course along the way and end up with a solid foundation to propose. A completed piece already has the points in place – the work is already done, making it easier to market. With the magazine pitch, I need to understand the groundwork before I write it. Instead of relying on the finished piece, I must convince an editor to consider an idea. A magazine pitch takes research. It forces you to take the time to understand a magazines’ style and subject matter, to figure out how, or if, your story will fit. It’s a different sort of writing challenge, but one I think every writer should try. The pitch I sent did not work out for this publication – but that doesn’t mean it’s not right for another one. The story is there, it’s worth telling, therefore it’s worth the continuing effort to find it a home and practice the art of selling a concept before it comes to fruition. In the meantime, I did find my way into my first magazine. 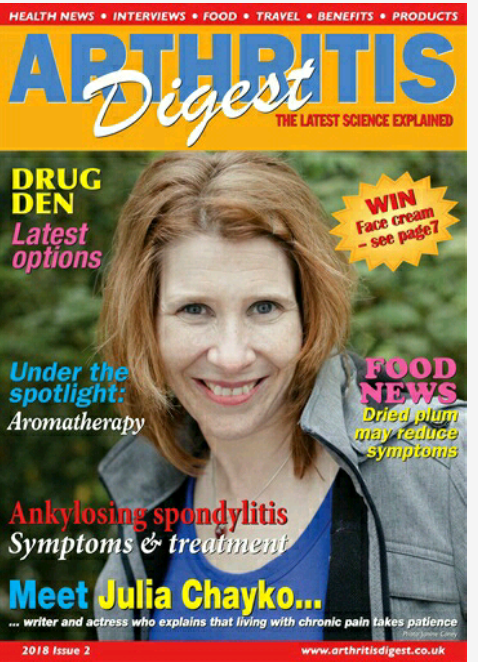 I was fortunate to have my story featured in an issue of Arthritis Research Digest UK – and the only thing I had to pitch was myself. “The scariest moment is always just before you start.” – Stephen King, On Writing: A Memoir of the Craft. 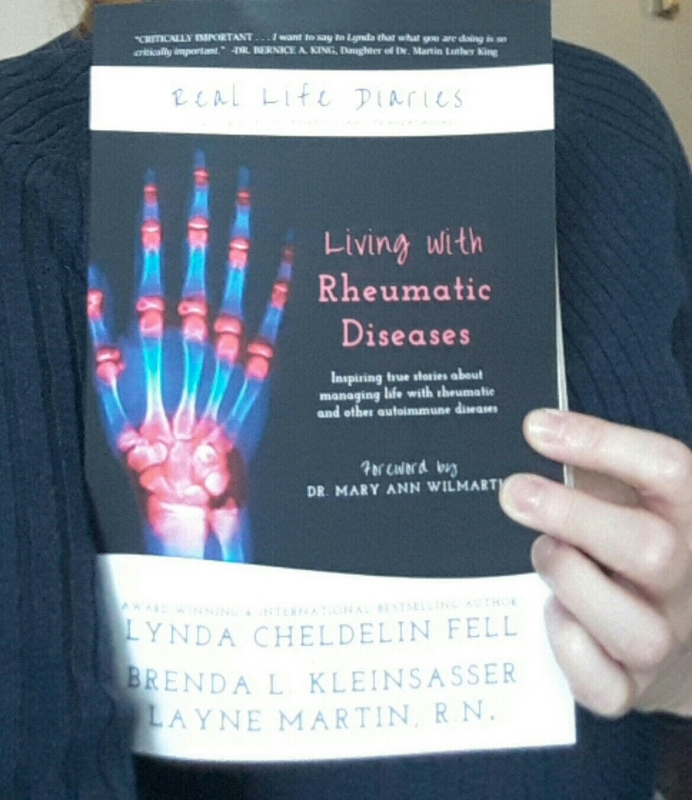 Recent release of Real Life Diaries series: Living With Rheumatic Disease. I began my writing practice when I was a kid. My first taste of publication occurred when our high school annual published a poem I’d written for English class. I was already well into studies for theater but seeing my words in print for the first time was a heady experience. I was determined to continue writing after chasing my dreams on the stage. I wrote on and off over the years, compiling stories, poems and even began out the daunting task of crafting my first novel. I never submitted any of these projects, just played with them on those rainy nights off from rehearsals. I was confident that one day I would have all the time in the world to launch a writing career. But that moment came far sooner than I anticipated. 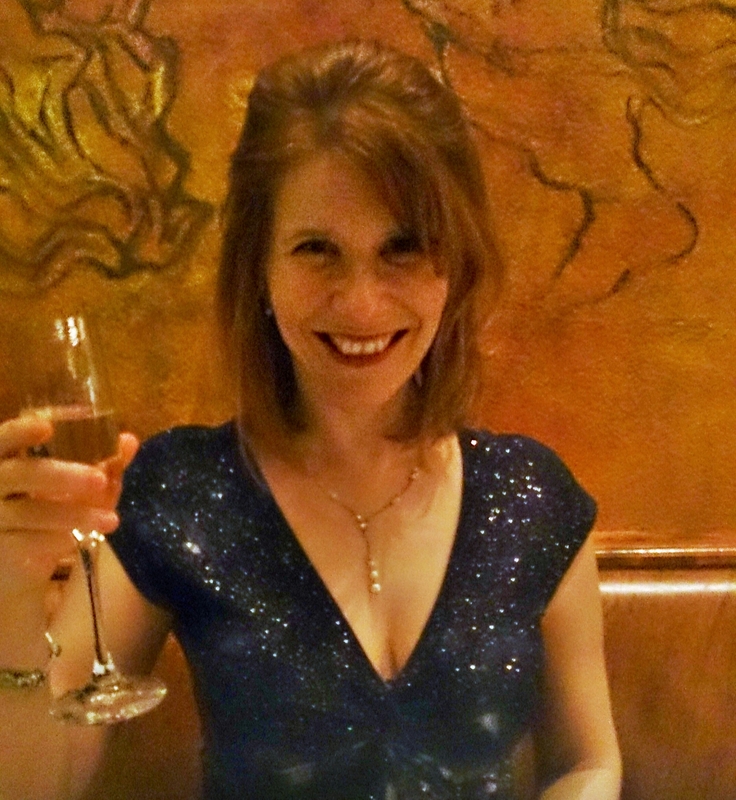 In my thirties I was diagnosed with Rheumatoid Arthritis. It’s a manageable disease and there are worse conditions out there, but this new diagnosis altered the life I built. I spent years in the dance studio and on stage, and suddenly I was faced with a disease that changed the way I moved. I stopped performing for a while, to figure out my new limitations, and that’s when the door to the beginning of my writing life swung wide open. Since I was no longer able to express my creativity through dance and I didn’t have the stamina for the hours of rehearsals and performance, writing became the creative outlet I craved. 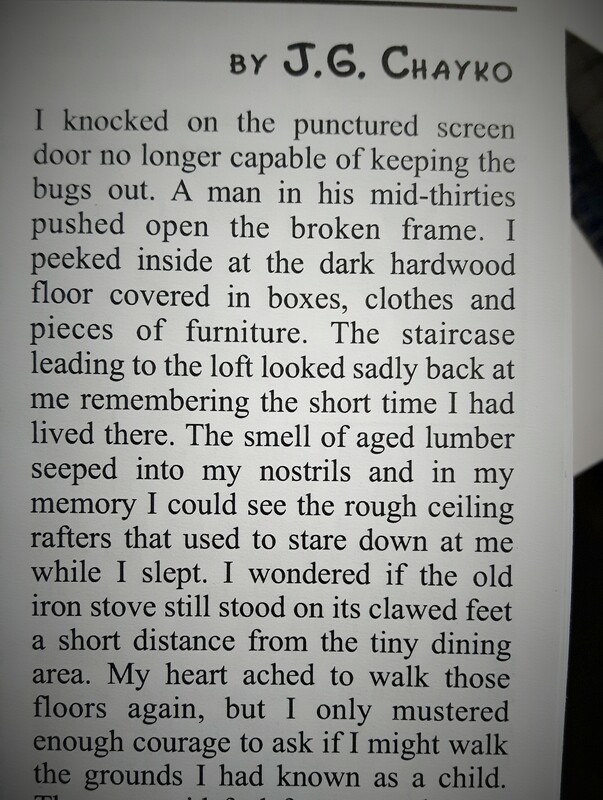 I wrote my first story on my great-grandmother, a non-fiction piece about childhood memories; I followed that up with a couple of short poetry and fiction pieces. And then I dove into writing about living with Rheumatoid Arthritis. I was having small successes with the short fiction pieces, but it was me writing about my life with disease that my opened my world. I blogged about my life, I contributed to health articles, I was invited to contribute pieces to arthritis websites around the world, I was sent to an all expense paid health bloggers conference in Toronto, I speak once a year at our local university and now, five years later I am holding a book with my words between the cover. 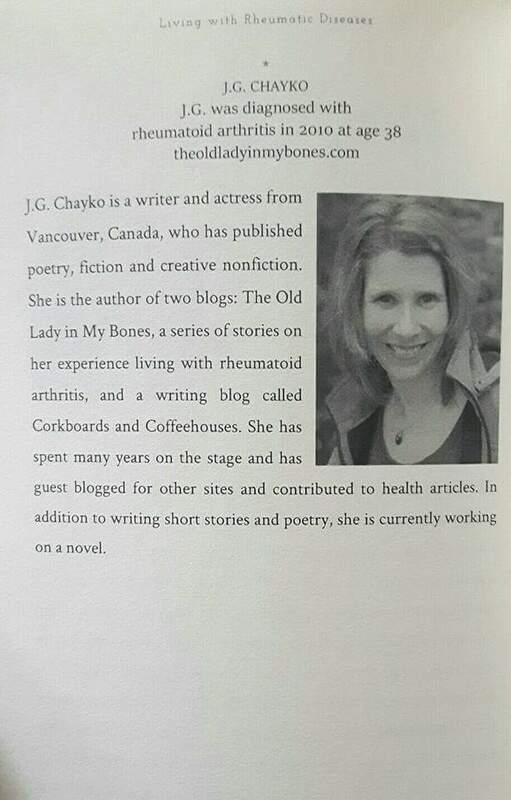 My biography as a contributing writer to Living With Rheumatic Diseases. It took a disease to launch my writing life. I now wonder what I was waiting for – the perfect time to begin, I suppose. Life has a funny way of letting you know the time is now and I’m glad I listened. This is still only the beginning of a long journey for me. I still have hundreds of stories waiting to come to life, and my own novels to craft, but despite all the rejections, the rewrites, the edits, and the hours of wordplay, if you keep on coming back to the desk and find joy and purpose in your process, all the hours of commitment are worth it. Research is necessary for the writer. We research everything from the right kind of devices for writing, publication procedures, literary agents, publishing houses, facts versus fiction, writing markets, coaches, editors, people, professions, places – the list is almost endless. Research is essential for us to find the right fit for our work, and often it can take as much time, it not more, as the time we put into the act of writing. Today’s technology, as distracting as it may be, it a most useful tool. I spend a lot of my time travelling from one place to another – the advantage for me living in a congested city is that I rarely drive, so most of my travel is as a passenger on public transit. The time it takes travelling from one place to another is the perfect opportunity for me to log onto my smart phone and browse the internet for information on the topics I am currently researching. The worldwide web is our door to almost anything we need to study – but I there is also another way to explore our writing world, and that is to actually get out into it. My favorite kind of research is the type that takes me out on road trips. 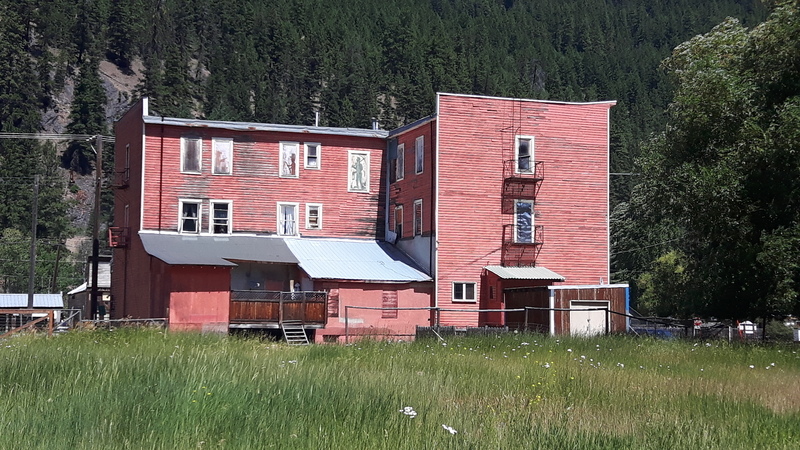 Recently my partner and I stole a weekend and travelled out to a historical ghost town a few hours from where we live. We spent an entire day following winding roads over majestic mountain passes, invigorated by fresh air that always holds a touch of fall even in the midst of a blazing hot summer. Eventually we turn a corner and dip down into the dry desert terrain, where an unforgiving heat smolders over sagebrush and sand. 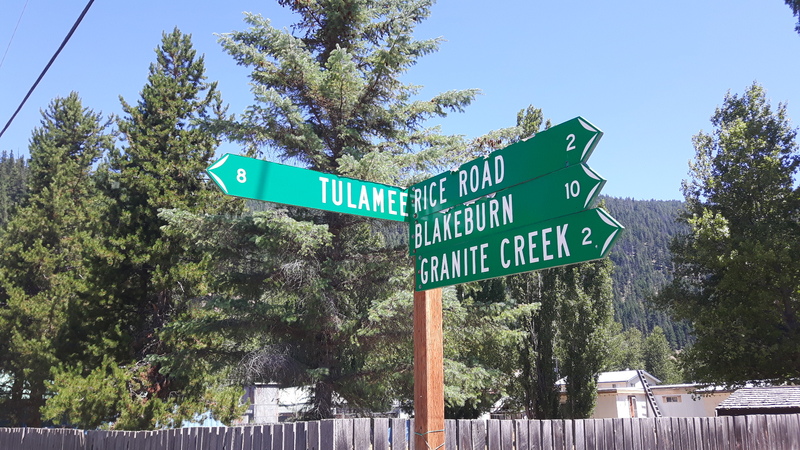 We find our tiny little ghost town exactly as we expect – silent, hot, dusty, and almost devoid of human life, but the for the pockets of houses still occupied amid the sleeping debris. I took pictures of the past, walked through deserted streets rousing my imagination to absorb the sights, smells, and sounds. I had an impression in my mind of what I was looking for – I didn’t find it. There was a moment of disappointment. I brushed it off, content to accept the day as a great outing with my partner, when suddenly, I discovered a new insight that would prove to be a most striking revelation for my current project. It was a simple observation that was overlooked in all the previous investigations and research, but it was one I would not have found had I not gone on this journey. Travelling and exploring the world around us is both invigorating and challenging. We don’t always find what we’re looking for – our research can often lead us to dead ends, creating frustration and a feeling of having wasted precious time, but this is not always the case. There will always be those moments that offer us an opportunity to discover new components that would not have been obvious to us in any other time or place. Those are the moments we celebrate. They wipe our previous defeats, rejuvenate our passion, and validate the path we chose. I won’t tell you what it was I discovered. It is my fervent hope that one day in the future you will have the opportunity to read about it from the book I hope to place in your hand. I thought it was appropriate to republish this fun little piece I originally published in December 2014. 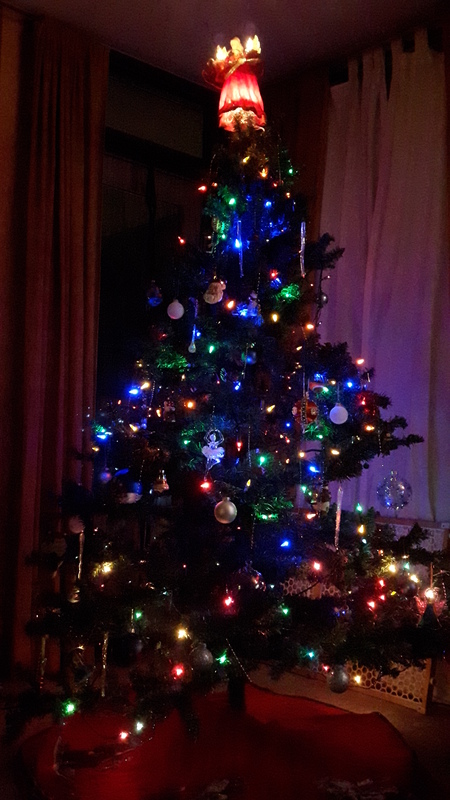 Wishing you all a very Happy Holiday season and a New Year filled with inspiration and new creative journeys.